She is audacious, fantabulous and extremely beautiful… Dabangg girl has proved again.. Our very own Sonakshi Sinha aka Sona is undoubtedly the selfie queen..! We all know how active she is on social media and keep posting her goofy pictures with incredible expressions! 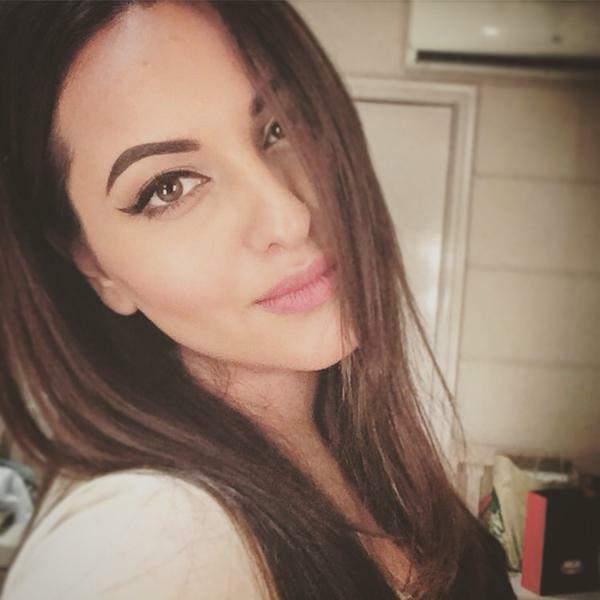 While all other B town celebs also keep posting their selfies but Sona pics catches our sheer attention… Want to know why? Check out these awesome 7 selfies posted by the lady…. 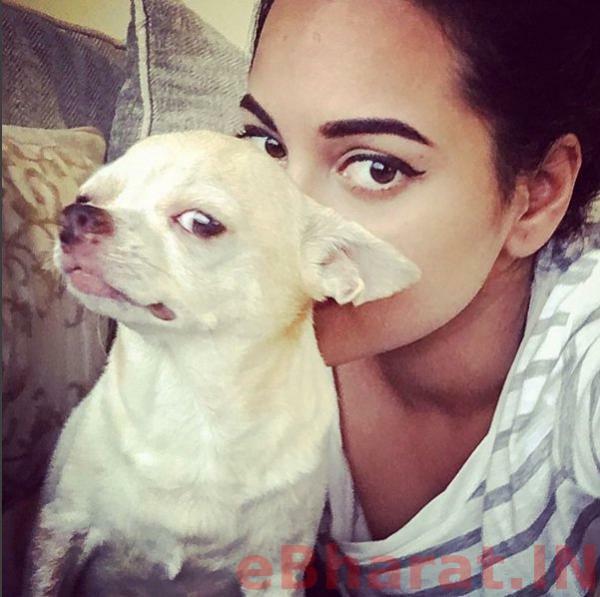 For her cool and mind-blowing pictures Sonakshi Sinha bagged the award of Selfie Queen Title in Bollywood Life Film Awards 2015; leaving Alia and Sonam behind. We can’t say we are surprised! Sonakshi revealed that she has had an obsession for clicking selfies ever since her college days and was happy that the obsession won her a trophy! 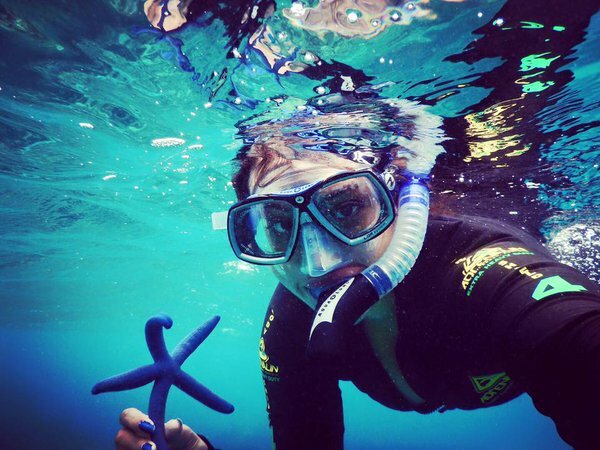 We agree that the actress take lot of selfies but this underwater selfie was really stupefying! The actress took some time off to go scuba diving, and she came out with some amazing photos. She says that this is one thing off her bucket list, taking a selfie with a starfish really is one of the coolest things. 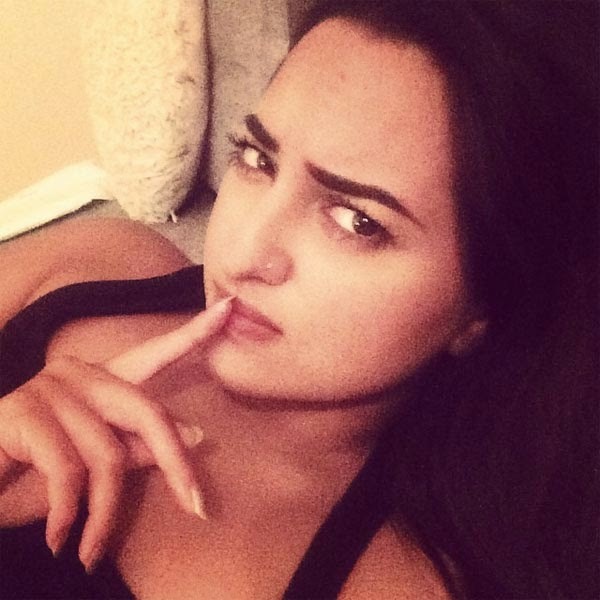 Well, Sonakshi’s vacation selfies give us a sneak-peek at what’s a celebrity’s idea of a vacation! This one is recent addition to actress Insta account during the shoot of her upcoming film Akira. It is the remake of Tamil film Mouna Guru (2011) and features Sonakshi Sinha in lead role. The film is scheduled for a worldwide release on 2 September 2016.She got bruised and battered while shooting for an action scene but didn’t gave up. Way to go girl! Losing weight has surely been a life-turning event for Bollywood’s Selfie Queen. Not only she gave one hit after another but her life turned a full circle. She lost oodles of weight, made her debut against none other than Salman Khan, and there has been no looking back for her. She flaunts her great fashion sense and curvy figure at events and movies, but totally killing it with her awesome Instagram account. The young lady works hard and party hard! And top of that.. she never misses to capture every fun filled moment. Very few people know but Sonakshi Sinha began her career as a costume designer for the film, “Mera Dil Leke Dekho”, in 2005. Before making her debut as an actress in 2010, Sonakshi was as a model, who walked on the ramp for Lakme Fashion Week in 2008 and 2009. Recently how actress responded to the rumoured stories of sleep over party with her boyfriend Bunty Sajdeh was epic! Once the news fall on her ears she immediately took twitter to slam the tabloid and clarified it was a fun dinner and nothing more. Actress tweeted- “SO glad I dont subscribe to trashy Mirror in which a fun dinner at a restaurant turns into a “sleepover”. Want to know what they r smoking”. 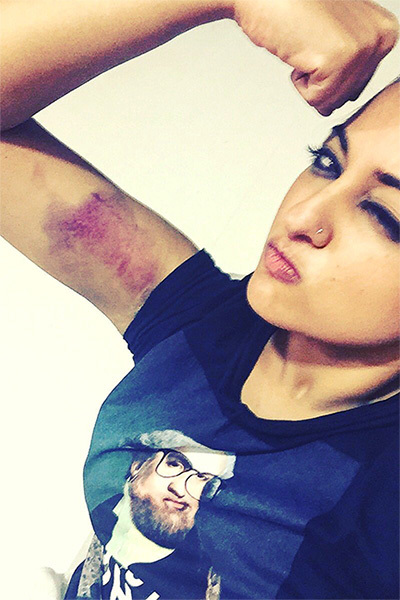 While Shatrughan is called Shotgun, his daughter Sonakshi Sinha is turning out to be the real shotgun. She isn’t the one you mess with! The lovely actress is a profound animal lover too. She had posed for a PETA campaign advocating the adoption and sterilization of dogs and cats. She also has starred in a one-minute video PSA, urging everyone to adopt animals and sterilise them. She has been quoted saying “Every time someone buys a dog or cat from a breeder or pet store, a homeless animal roaming the streets or waiting in an animal shelter loses a chance at a home and a good life”. Moreover, the actress donated her first film’s remuneration to Salman’s NGO “Being Human”. Hats off to you lady! Let us know which is your favorite selfie among these! MASERATI Watches Latest Collection 2016 is in India Now!